ARTISTS: VARIOUS, INCLUDING ERIC ANDERSEN, RODNEY CROWELL, VINCE MARTIN, ETC. Fred Neil co-founded (with conservationist Ric O’Barry) the Dolphin Project he on the first Earth Day, April 22 in 1970. Everybody’s Talking is a wonderful tribute album to Florida folk music legend Fred Neil. All net proceeds from the sale of the album go to the Dolphin Project. Having made a name for himself as an important part of the Greenwich Village music scene of the ‘60s, he was able to live where he wanted and still stay afloat, as it were, on behalf of his great cause. He left the village and returned home to Coconut Grove, Florida, where he spent the rest of his life. His mighty pre-computer pen and 12-string guitar had done their work. Here we are now, some fifty years later, and distant and descendant friends from Florida, including the head of the album project singer-songwriter Jim Wurster, pulled this outstanding set of performances together from far and wide. For me, Eric Andersen’s singularly thrilling and moving performance of the raison d’etre for the album—The Dolphins—with John Sebastian’s baritone guitar and riveting harmonica, starts the album as a highlight. Fifty-three years ago, and Fred Neil wrote a song that is as timely and topical as anything you’re likely to hear at a folk concert in Trump’s America, whose government is now shut down over funding for the border wall. That is why Neil cannot be ignored as a folk artist today. He is on my Gatekeepers of Freedom 2018 list of artists who spoke up for a better America this year—a voice from the grave. Everybody’s Talkin’, the title song of this tribute album, here performed beautifully by Keith Sykes, is the theme song of the classic 1969 film Midnight Cowboy, starring Dustin Hoffman and Jon Voight, and performed by Harry Nillson—accompanied by the Wrecking Crew—the great floating studio session musicians who raised his vocal performance to a hit song. The Wrecking Crew included the late great Glen Campbell, before he became a solo recording artist, and his guitar-playing was the glue that held so many hit records of the time together. 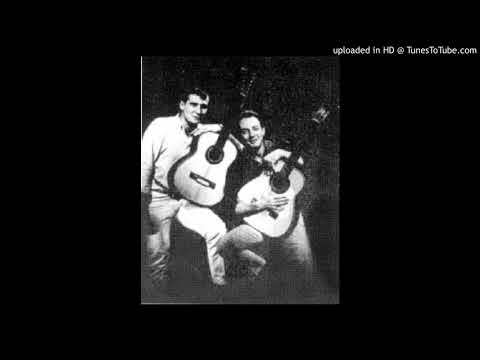 A recent PBS documentary on them closed with Nillson’s evocative recording of Neil’s title song. For a more intimate interpretation hear Fred Neil’s original recording, or this one by Keith Sykes—with “only the echoes of my mind” echoing the way Neil wrote it. 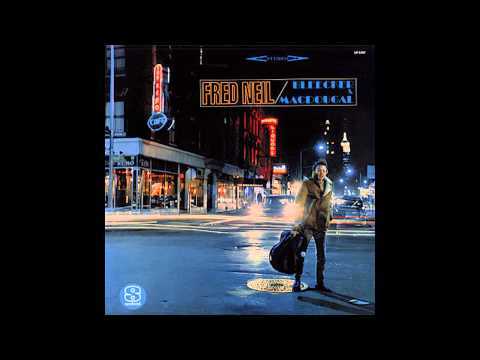 Fred Neil’s first record pinpoints the center of the 1960s Greenwich Village folk revival in its title song: Bleecker & MacDougal, near The Bitter End (147 Bleecker), Izzy Young’s Folklore Center (110 MacDougal) and Mike Porco’s Gerdes Folk City, where so many folk shooting stars took off and, like Fred Neil, had no idea how high they were destined to go. Here his tribute to ground zero of the folk revival is performed with a sure sense of its future shock by Valerie C. Wisecracker. And I been a hittin’ some hard travelin’ Lord. In Jim Wurster’s sympathetic hands it still rings true today; fine! But the most haunted and ghostly performance on the album may be the brilliant performance of Fred Neil’s most otherworldly song, the enchanting The Other Side of This Life, by the authentic-sounding Charlie Pickett. If you are lucky to have heard Fred Neil’s original recording you will be uplifted to know that his music still speaks to folk singers today—who are carrying on his songs to a new generation. We can only be grateful to have this record—for it brings a great 20th Century artist into the 21st Century with grace, great musicianship and heartfelt performances from beginning to end. At a time, in particular, when so many threatened and endangered species—including the dolphin—are fighting for their lives and survival against an administration whose craven environmental policies can’t take them off the protected species list fast enough, this powerful record arrives with a five-star warning—the earth depends upon it—and this is what folk music was created for. Fred Neil was a prophet without honor in his own land, but he stayed true to his vision and devoted his life to the highest calling available to a folk singer—putting the world of his closest fellow beings in his song-bag so they would never be forgotten. Thanks to Jim Wurster and his devoted fellow artists, Fred Neil remains relevant today—an artist who shines a light on those we can only ignore at our own peril—and whose songs speak eerily to our eloquent silence. Bravo! Carry it on!